La Leche League is an international, nonprofit, nonsectarian organization dedicated to providing breastfeeding support, encouragement, information, and education. Accredited La Leche League Leaders in your area answer help calls, give in-person encouragement and nursing help, and facilitate open Series Meetings at which mothers share their questions, experiences, and encouragement with one another. No two people at a meeting will have the same parenting style. You’ll see things you like and things you don’t like. Try what you like and leave the rest. Some women just want to sit and listen when they come. No one will pressure you to participate if you don’t want to. La Leche League meetings are designed with babies in mind. They’re informal, and no one will mind if you nurse, change a diaper, or soothe a fretful baby. It feels good to get out of the house with your baby. What better place to come? 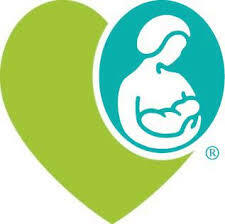 La Leche League Leaders are just a phone call or email away, any time you need to talk. Whatever you’re going through, someone at the meeting will have been through something similar. When you come to a La Leche League meeting, you don’t just learn from other women; other women have a chance to learn from you. You become part of the pattern of mother-to-mother support that began at the first La Leche League meeting in 1956. This support has spread around the world and continues to spread at all the mother-to-mother get-togethers that are at the heart of La Leche League. La Leche League of Maine and New Hampshire encourages you to attend Series Meetings whether you are a newly expectant mother wondering about breastfeeding or a mother of many. Meetings are comfortable and informal, and non-separating children are always welcome to attend. Some groups may have separate infant and toddler meetings, depending on group size and organization. Please make a habit of coming to meetings -- you are an important part of the breastfeeding community, and you mean the world to other mothers throughout your breastfeeding journey: while facing challenges, enjoying breastfeeding, or attending in a supporting role, your presence is important in every stage. You can also become a Member of La Leche League for $40 a year. Membership supports the local LLL group as well as La Leche League at all other levels. Members receive discounts at local LLL conferences, as well as a link to an on-line magazine, "New Beginnings," which has evidence-based articles from LLLI Leaders and other lactation experts. The Membership Form for LLL of ME and NH can be found at your Local Page, or available from your local LLL Leader. The Membership Form for LLL of ME and NH groups can be found at your Local LLL Group Page, or available from your local LLL Leader.